As promised and just like those courageous "Freedom Riders" referred to in the play, we are taking the staged reading on the road. 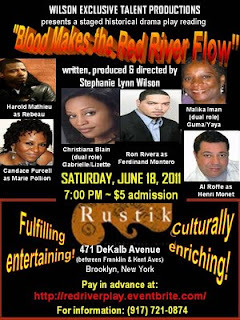 On June 18th at 7pm catch a staged reading of "Blood Makes The Red River Flow" with music, at the popular and cozy Rustik Tavern at 471 Dekalb Ave. in Brooklyn, NY. They have a full bar, full menu, and patio. 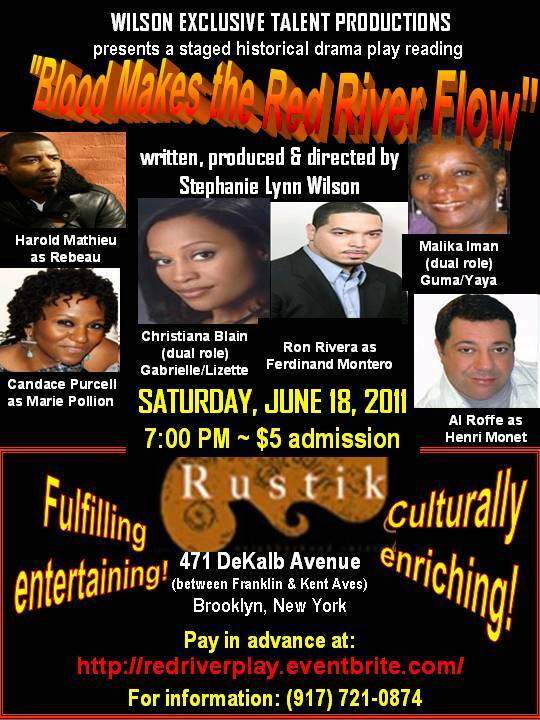 Click the title above for tickets.